Loft Conversions Norfolk – A loft conversion is possibly the fastest and most cost-effective way to improve the value of your home. What you invest on the loft conversion cost, you make back in the value of your property – which could increase by almost a quarter. 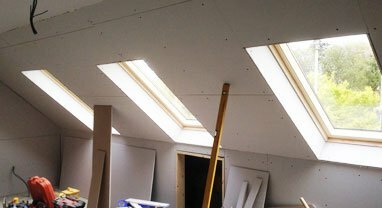 When you’re making a financial and practical commitment to a loft conversion, you need to feel confident in the company you choose to carry out the work. That’s why we’re always honest and upfront about the cost. We give you a fixed price quote for the whole job – from working with the council for planning permission, right through to painting and decorating – and it stays fixed. We can give you a full, fixed quote because we manage the job completely. With an architect, a structural engineer and a team of carpenters, we have extensive knowledge and experience. We’ve spent over 40 years in the industry between us, so you can rely on us to take the hassle out of the process and do the job right. Having work done on your home can be disruptive and stressful. At Anglian Carpentry, we want our clients to be inspired and excited while we create a beautiful loft conversion that will transform their home. That’s why we do everything we can to make the process easier. 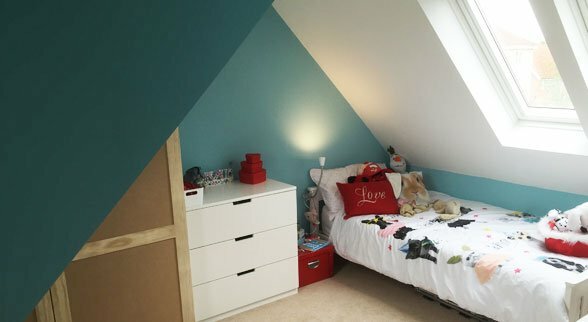 We’ve developed a unique method of working on your loft conversion that doesn’t get in the way of your home life. We cut a 4ft x 4ft square in the gable end of your roof. We’ll use this for access to your property throughout the loft conversion project. It means no mess, no hassle, and no need to move out. We fit two large beams running from gable end to gable end to support your roof. They’re made from c24 timber, which is stronger and less prone to bending than steel. 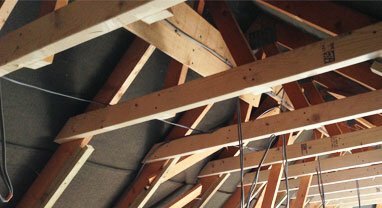 We then fit collar ties, horizontal beams that span the roof space, for further support, and install highly effective Celotex insulation into the rafters. We install windows to bring light into your loft and carry out all first fix installations – the things we need to do before plastering. We have longstanding relationships with a number of local trades, and bring them in to do the wiring, heating and plumbing. You don’t have to manage the trades, and the cost is included in your quote. We fit a new floor and stud walls, and cover the walls and ceiling with plasterboard. 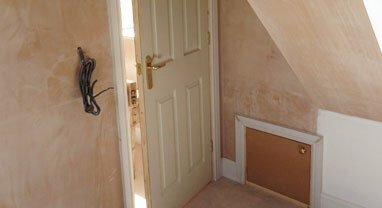 The loft room is plastered throughout and we work on all the second fix installations – hanging doors, plumbing your new bathroom in, installing sockets and light fittings. 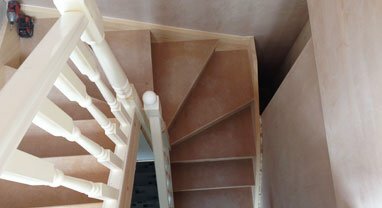 We add in a new flight of stairs, connecting your loft conversion to the rest of your house. This is the only time we’ll come into another part of your home. 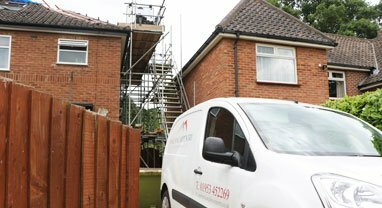 We can install your loft conversion stairs in a single day, so the disruption to your life is minimal. The hole used for access in the gable end of your roof is filled with brick or a window. 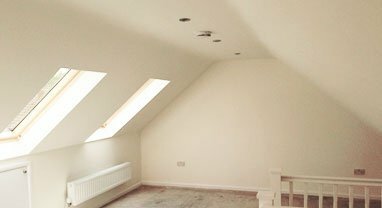 Your loft conversion is complete, and all that’s left to do is paint and decorate it – which we can do. We’re perfectionists, and take pride in our work. We won’t leave until you’re happy.